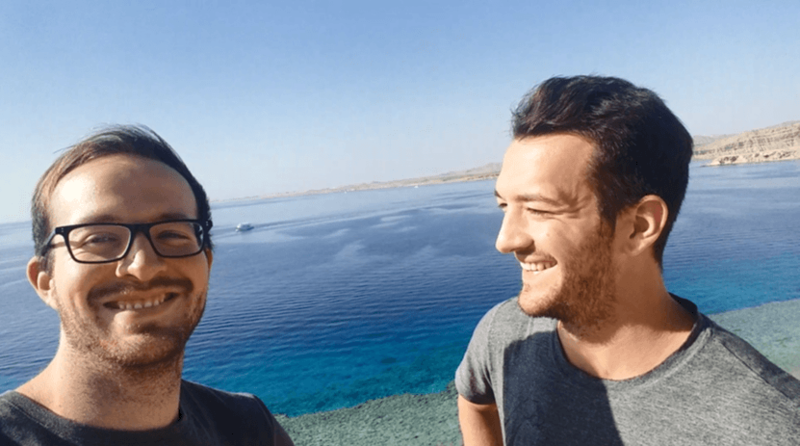 Hi, we're Nils and Jonas Salzgeber, two online entrepreneurs who travel the world in pursuit of self-mastery. You can refer to us as the NJ brothers. 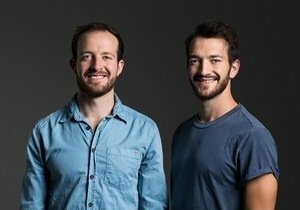 We are the founders of NJlifehacks.com, a popular personal development website with over 50,000 monthly visitors. We're also international authors who've sold over twenty-thousand copies worldwide. Our latest book is The Little Book of Stoicism, which has been called the "most practical and beginner-friendly" book on Stoic philosophy on the market. The goal with NJlifehacks is to help ambitious people like you become better versions of themselves – more productive, disciplined, resilient, hard-working, mindful, charismatic etc. – through ancient wisdom and modern science. What is NJlifehacks, and Why the Name? In one sentence: NJlifehacks is a personal growth company dedicated to helping people become better versions of themselves through ancient wisdom and modern science. We do this through our blog articles, books, online courses, email newsletter, and personal coaching. The lifehacks part is pretty self-explanatory – it's about hacking our lives to be healthier, happier, more self-confident, charismatic, mindful, self-loving, and all that good stuff. We started NJlifehacks back in 2016 in the hope of making a living with our passion for personal growth and self-development. While the path has been incredibly tough and involved a ton of sacrifices, struggles, and heartaches, we’re glad to have embarked on it and we’re super happy to now make a living doing something we love. 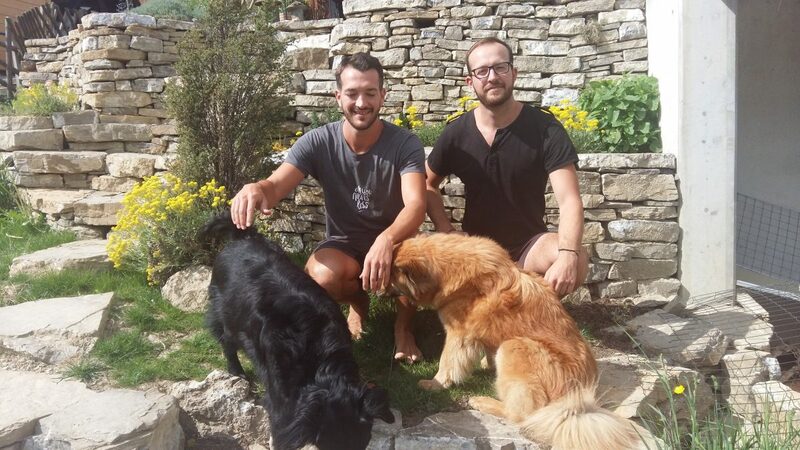 We write about Stoicism, self-discipline, productivity, and everything in-between. While we mainly write about those three core topics, we’ve also published articles on sleep, nutrition, positive psychology, and even spirituality – basically, anything that is somehow related to helping us become better versions of ourselves. We’ve also published a fair amount of book summaries. As of March 2019, we’ve published a little over 140 articles, received over 1,000 comments, and get approximately 50,000 monthly visitors. In case that’s of interest to anyone. We’ve also written for other publications, such as Prsuit, Developgoodhabits, Asian Efficiency, PicktheBrain, Medium, and many more. The Little Book of Stoicism is our newest and most successful book yet. It dives deep into Stoic philosophy and gives practical advice on how to use its principles to gain resilience, confidence, and calmness. 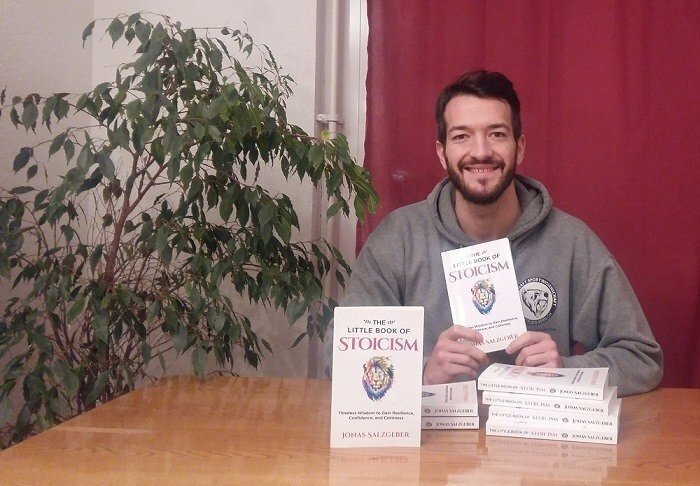 It has been called the “most beginner-friendly and practical” book on Stoic philosophy on the market and has already sold over 10,000 copies worldwide. You can learn more about it here. The Happy Life Formula was our second book. It’s an expanded version of a highly popular blog post we’ve published on this blog, called How to Be Happy: 26 Strategies Backed by Research. As the title suggests, this book shows you how to create a happy life, using over thirty proven, research-backed strategies. You can gab your copy on Amazon here. Stop Procrastinating was our first book, and provides strategies to help you beat procrastination based on Nils’ own journey from severe procrastinator to highly productive and disciplined online entrepreneur. It’s a nice mix of theory and practical advice, and is highly recommended for anyone struggling with taking action and following through on their intentions. You can gab your copy on Amazon here. In early 2019 we’ve launched our first premium online course, called Procrastinator to Producer. As the name suggests, the course is all about helping you become a more productive, self-disciplined, action-taking, and more efficient person. Enrollment to Procrastinator to Producer is currently closed, but you can sign up for the notification list here. We have two more brothers, making it a total of four (duh). We lived in Egypt for six months during the 2017/2018 northern hemisphere winter. Most of that time was spent working on our respective books, though there was also plenty of time for snorkeling, diving, swimming, laying on the beach, camel riding, quad biking racing in the desert, and other fun stuff. We’ve easily spent over $5,000 on books since starting the blog. Yup, we’re massive nerds and big believers in reading as part of any personal growth strategy. You find some of our favorite books here. We love biohacking, so you’ll often find us gulping down copious amounts of smart drugs, vitamins, minerals, “totally legal” pharmaceuticals, and other enhancing pills. We also wear dorky eyeglasses, take cold showers, practice Wim Hof breathing exercises, and sleep on earthing mats. Ever wonder what a proud first-time author looks like? Voilà - Jonas with The Little Book of Stoicism. 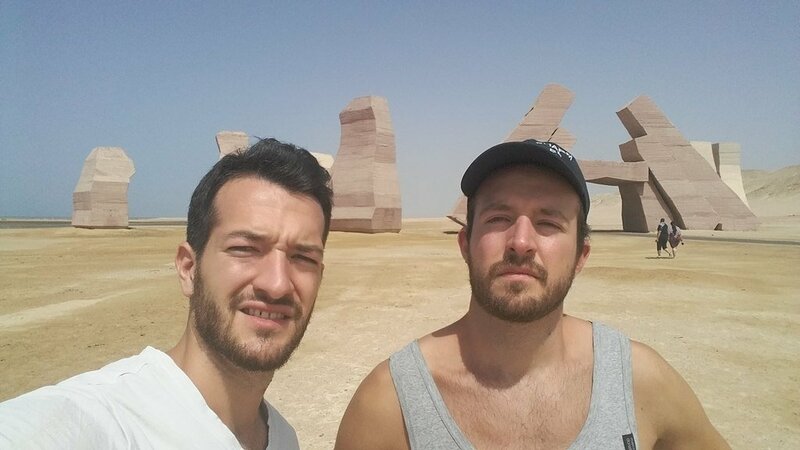 Showing off our masterful selfie skills in the Egyptian desert. Another attempt at a selfie. 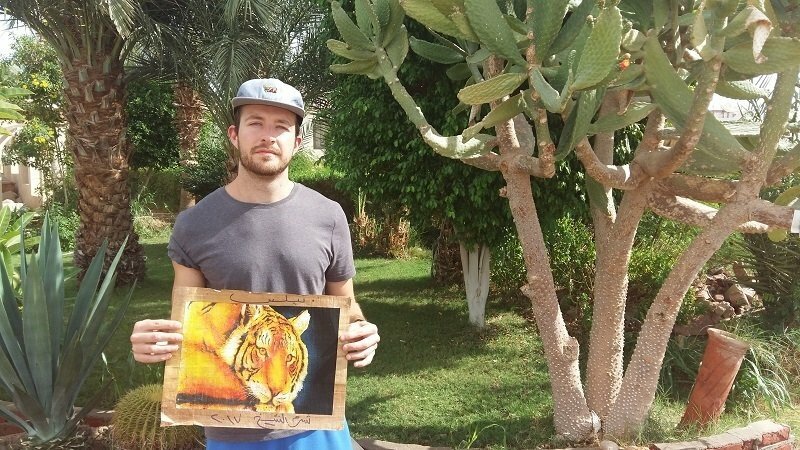 Egypt 2018 - Believe it or not, Nils "only" paid $15 for that stunning painting. What Are You Waiting for? Come On Board... We Won't Bite. It aint that hard. Just put in your name and email below to join our growing family of over 11,000 life enthusiasts.